Namchi is about 78 kms from Gangtok in South Sikkim. Namchi monastery is a popular destination for Buddhist pilgrims. 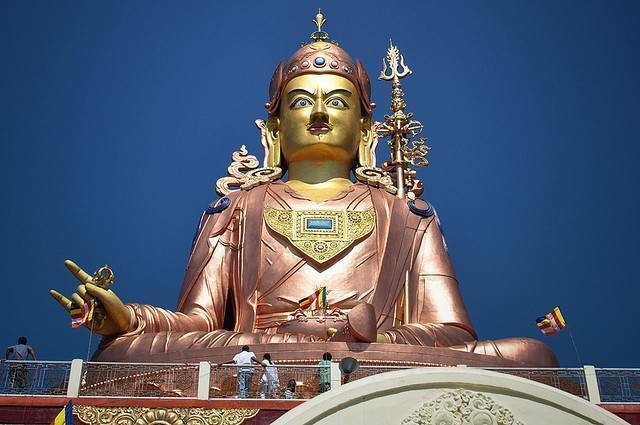 Samdruptse near Namchi is home to the 135 feet high statue of Guru Padmasambhava (also known as Guru Rinpoche). Between Namchi and Samdrupte is a rock garden that is also popular among the visitors for the variety of flowers and trees. Siddhesvara Dham is another destination for followers of Lord Shiva. Temi tea garden, Sikkim's only tea estate is also located close to Namchi.